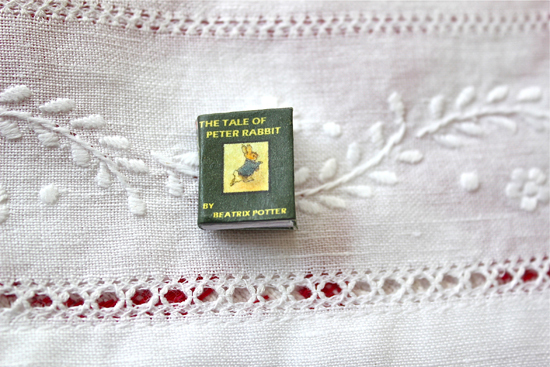 Kellee and Judy found this amazing, tiny, handmade, Peter Rabbit book as a gift for me -- I loved it so much that we tracked down the artist that hand makes them. Only 3/4” x 5/16” -- and the whole story is there, tiny colored pictures too. Just precious. Until we run out!